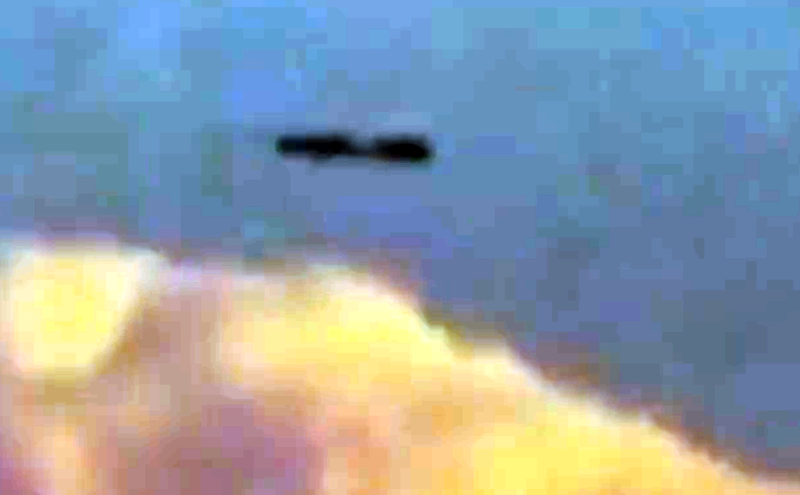 UFO SIGHTINGS DAILY: UFO observed for 90 sec on video Saint Petersburg Florida, April 29, 2016, UFO Sighting News. UFO observed for 90 sec on video Saint Petersburg Florida, April 29, 2016, UFO Sighting News. Screenshots have added contrast and lighting. This is an excellent video brought to my attention by UFOvni2012 of Youtube. 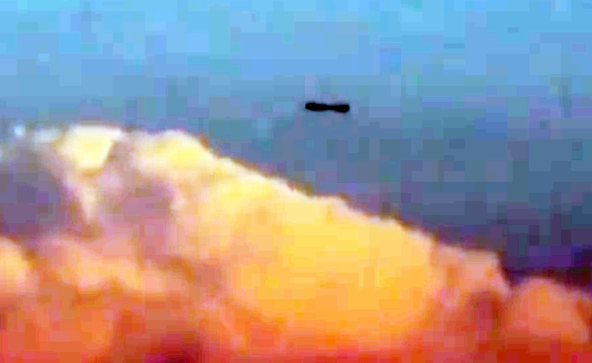 It shows a long cigar UFO floating slowly over the clouds. I digitally enhanced the colors to make it more clear in the photos above. The UFO has a indention at its center like a barbell. Whats really interesting is that its moving forward from one end, where a balloon would be moving sideways and slowly spinning. It was approximately 7:45 PM. Our house is located right on the water next to Tampa Bay.I walked outside to the back of my house to let our dog out. I then noticed a strange cigar like object moving SE to S that I couldn't identify. It was completely transfixing. About 45 seconds into my observation, a orange orb instantly appeared directly to the right of the craft, then blinked out after about 2-3 seconds. It was at this point that I pulled out my iPhone and captured about 25 seconds of relatively shaky video. You can definitely make the object out though. There were no discernable normal aircraft lights and the craft made no sound. In my video, a bird flies by in the foreground of the craft which gives the craft considerable scale. You could also probably determine the speed of the craft, as it's flying just above some cloud cover which should provide reference points for speed determination. As the object moved further away, I stopped taking video and ran inside to grab my binoculars. When I returned a few seconds later, the object was gone.